Do you remember the days that salad came as a head of lettuce that you would chop up and add to a salad bowl? It seems that these days, salad is usually a mix of pre-washed baby leaves that comes in a plastic box. While it is very convenient, you are paying for that convenience in both extra costs and lost nutrients. Growing a spring salad garden is easy, healthy, and will save you a ton of money (which means extra cash to spend on all those other plants you desperately need). Try this experiment at home: put the contents of an “organic” salad mix in your salad spinner and fill it up with water. When you strain out the water, what color is it? I’ve consistently seen the water turn cloudy and green. Green! Do not get me started on the chemicals that are added to packaged salad mixes. I have no idea as to why it is green, because when I wash salad from the garden the water is clear (with the occasional aphid or bit of dirt swishing around in it). I’m guessing it’s a colored chemical that inhibits bacteria growth. I really can’t say for sure. But I can say that I’d rather not eat whatever it is. Don’t always trust what a package says, even if the label identifies the food inside as organic. You can trust your own garden, though. 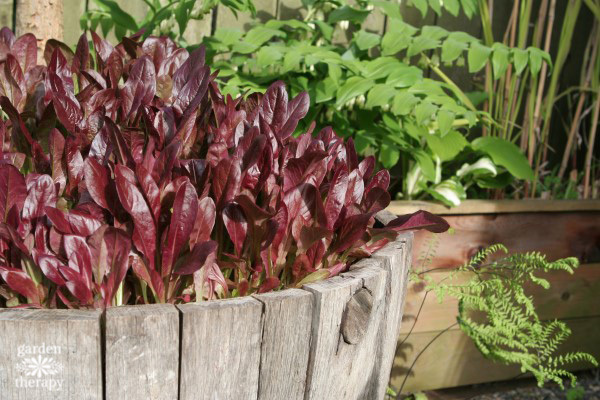 Growing a spring salad garden is a way to get a large number of gourmet greens that can be freshly harvested for months on end. The best part is that it will only cost you pennies per salad. 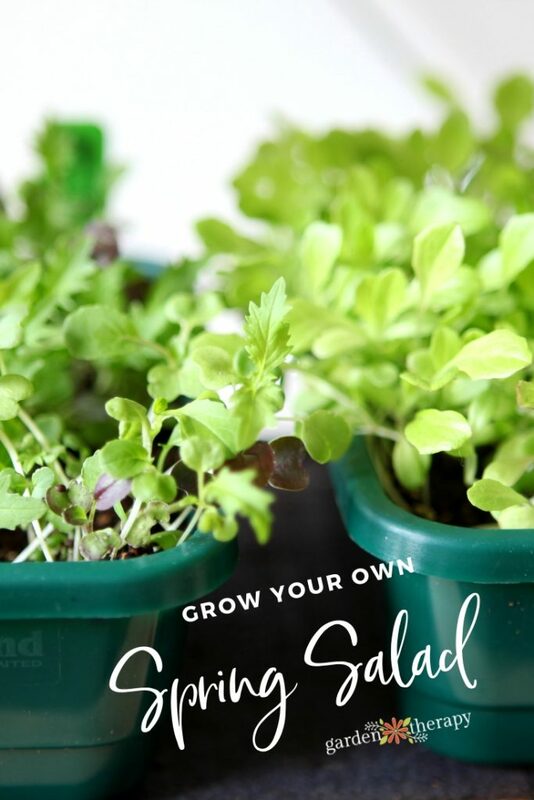 If you buy one seed packet of salad greens for a few dollars, you can grow about twenty of those plastic salad boxes (which can cost around ten dollars each!) worth of greens. Spring Salad is also called mixed baby greens. 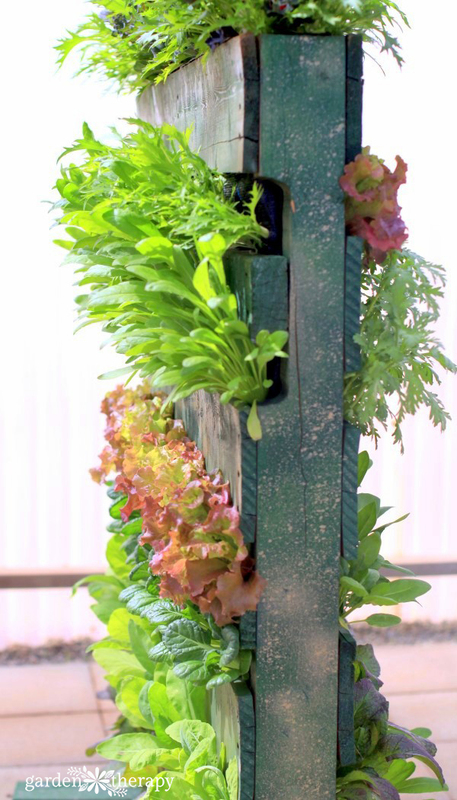 You can grow this easily in just about any space you have, by scattering a pack of mesclun mix over the soil in a large container. 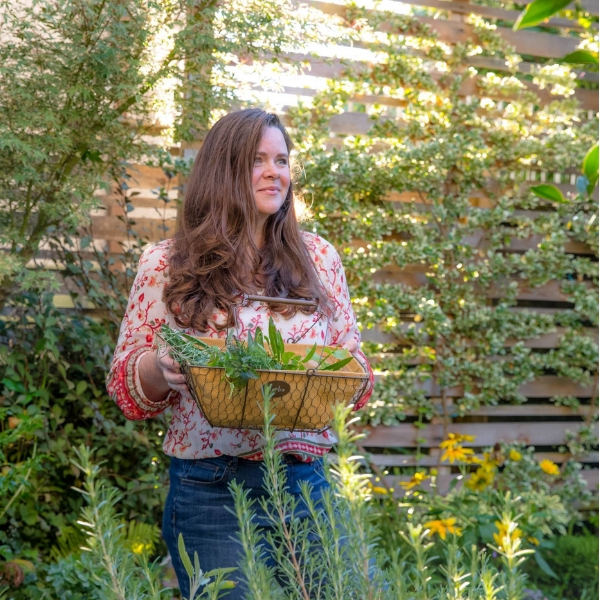 Plant it densely and harvest liberally when the leaves are 2-3″ long. As you harvest, sprinkle more seeds and new seedlings will emerge to replace the cut plants. You can buy a pre-mixed mesclun salad blend or create your own. To make your own salad mix, choose greens that have variety in color and flavor such as a deep red lettuce, a lime green oakleaf lettuce, and arugula for a little spice. 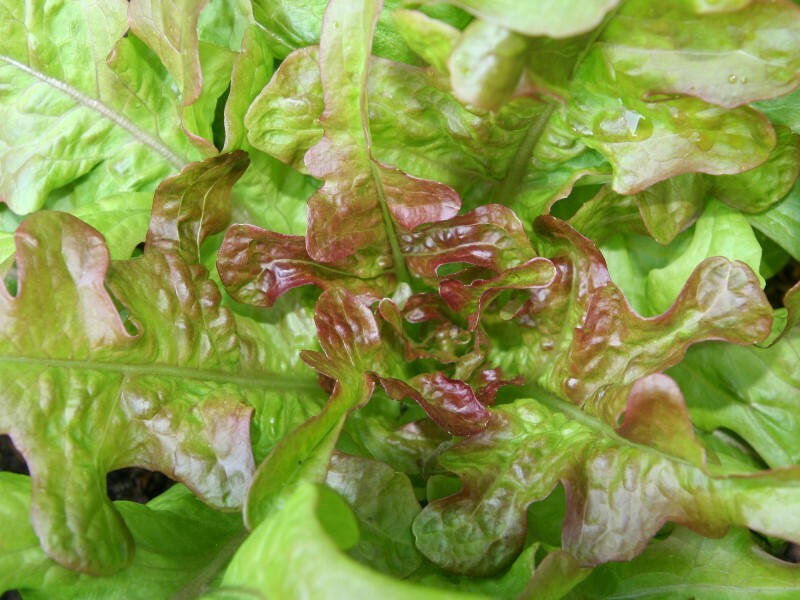 Choose a number of leaf salad greens as opposed to head lettuce. Or start the seeds indoors in a large plastic garden tray. I simply sprinkle a whole pack of seeds over a tray of soil and when the plants are large enough, I transplant them to the garden in clumps. They will spread like crazy and feed you a ton of nutritious, yummy greens. 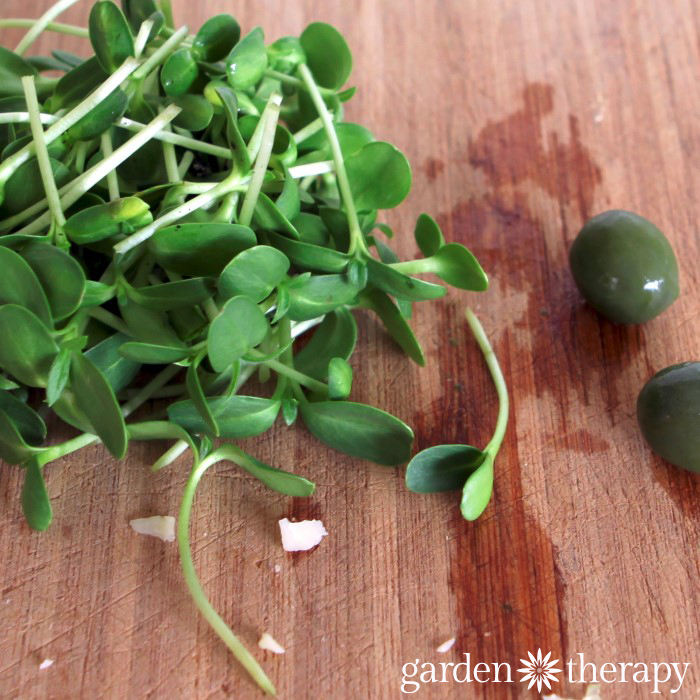 For a cut-and-come-again garden, snip the greens you want from an area of your salad garden and sprinkle some new seeds on top of the soil where you just harvested your leaves. Before you know it, new salad greens will be growing up again. For convenient storage, harvest your greens, wash them, spin them in a salad spinner, and keep them in the fridge right inside the salad spinner. 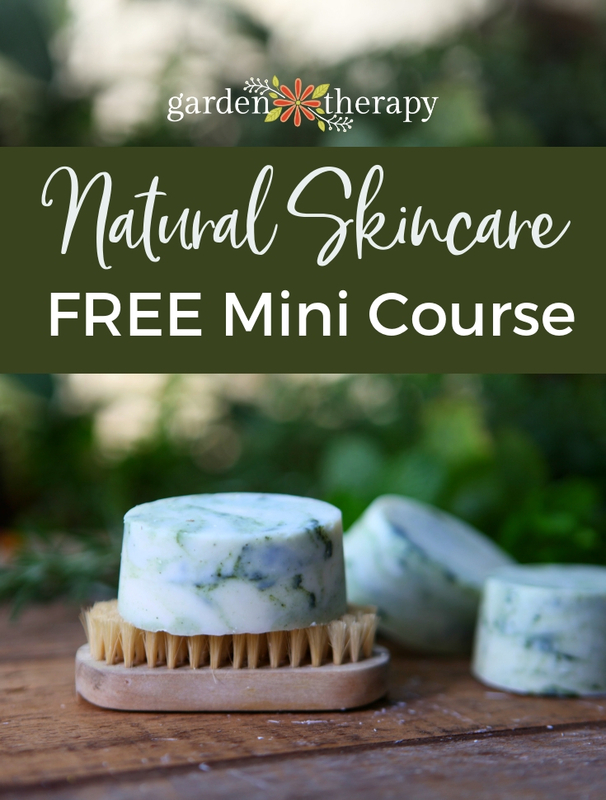 This will keep them fresh for longer than a regular plastic container. We love garden salad. And yes to make sure its really organic you have to plant your own salad garden. Thanks for this advice. I never knew that the green color of the water was probably an indication of the presence of chemicals. (Duh — guess I never thought about it) We can put in our lettuce now (February), down here in coastal Georgia. I need get busy. At least where we live, growing our own greens are a Spring/Fall endeavor. The summer heat brings summer wilt.